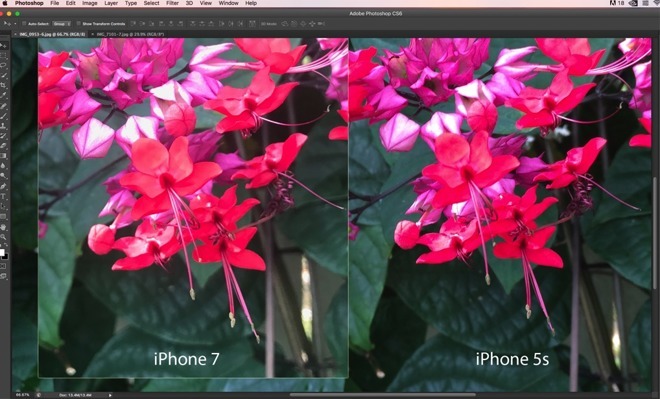 A string of complaints circulating on the Apple community-driven support forums claim that some users are experiencing a "water-color" effect on photos taken with the new iPhone 7 Plus camera. 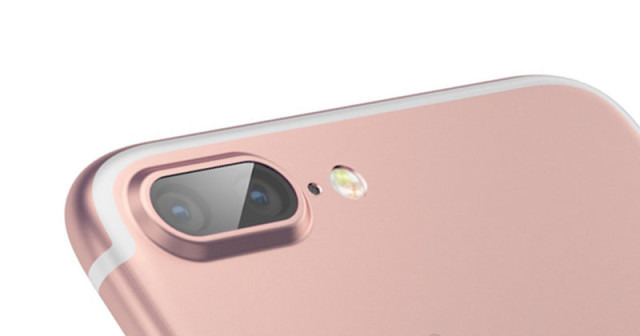 Complaints in multiple threads on the support forums about a potential problem surfaced around the same time as the Apple "Hello Again" event, with users complaining that out of the box, picture quality using the dual-lens system on the iPhone 7 Plus was sub-par. Users complained of blurry photos, as well as wide areas of the "water-color" effect dominating a shot. Service data collected by AppleInsider suggests that the problem is very rare, with 1004 reported service cases with an iPhone 7 Plus across 31 Apple Stores since launch, with the vast majority of them being either so-called "infant failures," or user-broken screens. Of the 1004, only 8 phones have manifested camera problems, and not all of them are attributable to this specific problem. Some users report success with disabling the "optimized storage" setting on the iPhone. Other users with the problem are not having an issue in RAW captures in Lightroom, but only with the Apple Photos App, with some users seeing the problem in both RAW images and in Photos-hosted images. The root cause of the problem isn't clear. Some users suggest a mechanical failure of the optical image stabilization as part of the problem, with others seeing a similarity to sharpening filters over-applied. AppleInsider was advised by Apple that there may be multiple, rare, root causes of the same manifestation and that users having concerns with their iPhone 7 Plus camera should contact AppleCare, or make an appointment at a Genius Bar for further assistance, and documentation of the problem.